HealthDay News — Healthy participants receiving the orally administered reversible fatty acid amide hydrolase inhibitor, BIA 10-2474, can experience a severe neurologic disorder, according to research published in the New England Journal of Medicine. Anne Kerbrat, MD, from INSERM 1414 in Rennes, France, and colleagues describe neurologic adverse events in healthy participants who were assigned to placebo or 50 mg BIA 10-2474 per day (2 and 6 participants, respectively) as part of a phase 1 safety study. Four of the 6 who received active treatment consented to having their data included in the report. The authors note that 3 of the 4 patients developed an acute and rapidly progressive neurologic syndrome starting on the fifth day of drug administration. Headache, cerebellar syndrome, memory impairment, and altered consciousness were the main clinical features. 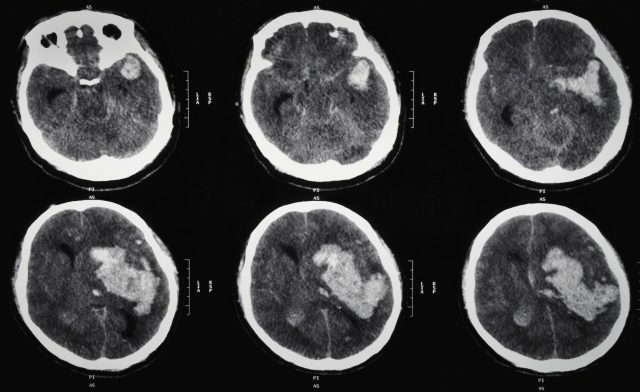 Bilateral and symmetric cerebral lesions, including microhemorrhages and hyperintensities on fluid-attenuated inversion recovery and diffusion-weighted imaging sequences mainly involving the pons and hippocampi, were identified on magnetic resonance imaging. One patient became brain dead; there was improvement in the condition of the other patients: 1 had residual memory impairment and the other had a residual cerebellar syndrome. One of the patients remained asymptomatic. Kerbrat A, Ferré JC, Fillatre P, et al. Acute Neurologic Disorder from an Inhibitor of Fatty Acid Amide Hydrolase. N Engl J Med. 2016;375(18):1717-1725.